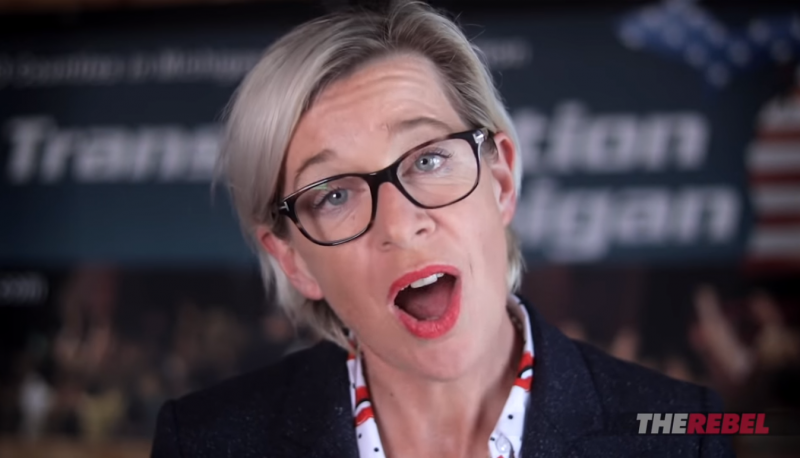 The Canadian far-right web network, The Rebel, and racist media personality Katie Hopkins appear to have parted ways months ago. Neither Hopkins nor The Rebel have made announcements regarding Hopkins’ departure. As we dive into 2018, I could not be more excited to share my news. I have joined the team at Rebel Media and am thrilled to already be working hard on my first mission with Hopkins World. With this platform provided by Rebel Media, and the kind support of my sponsors, subscribers, and adversaries, we will be heard. The Rebel has not uploaded a video featuring Hopkins since October. Hopkins no longer appears on The Rebel’s staff list on the website’s “about us” page and is also not mentioned by name in The Rebel’s 2018 annual report. However, Rebel “Commander” Ezra Levant described Hopkins as one of “our own” as recently as November 10. Episodes of Hopkins’ Rebel.media show have been moved into the site’s archives. In September, Hopkins applied for an insolvency agreement to avoid bankruptcy after she lost a libel case involving food writer Jack Monroe. Hopkins’ prior employer Mail Online (an affiliate of Daily Mail) paid “substantial damages” to a teacher that Hopkins had made false accusations against. The Rebel’s YouTube channel, Rebel Media, has more than one million subscribers, but only occasionally breaks more than 10,000 views on any given video. Hopkins is the latest figure through The Rebel’s revolving door for far-right media personalities who have served up white nationalism, including Jack Posobiec, Lauren Southern, and Faith Goldy.